Baking for superstition. Heather Yunger is a longtime superstitious Bruins season ticket holder. She would bring her Black & Gold cookies to the bar for pregame every game and that year the Bruins won the Stanley Cup and Heather decided to start thinking about escaping her cubical to make cookies! Whats your signature dessert/baked good? Black & Gold cookie, it’s a dark chocolate (think oreos) chewy chocolate cookie with peanut butter chips and it’s rolled in sugar before we bake it. 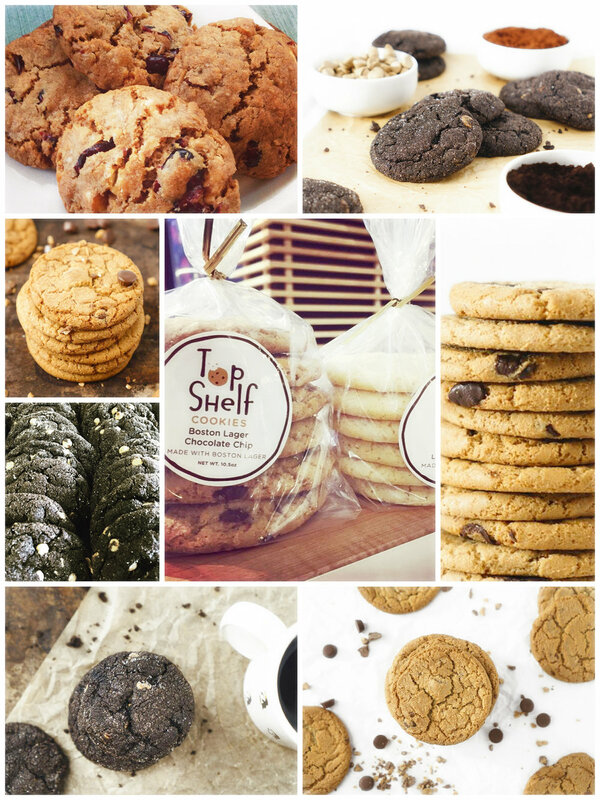 When you were a kid, mom always hid the good stuff out of our reach on the Top Shelf, but Top Shelf Cookies has another meaning as well - when you score on a goalie in hockey over the shoulder, it’s called going “top shelf". The City of Boston inspires me. I think it’s beautiful and it’s made up of so many amazing neighborhoods, I feel really lucky to live here. What do like to do in your free time? Uh, I’m a small business owner I don’t have a lot of free time, but I guess what time I have I spend with my dog Brady. he’s a senior rescue beagle and I love him so much, we take a LOT of walks in our new neighborhood in the Lower Mills area of Dorchester. That’s a tough one, I don’t really ever feel guilty about what I eat because life is too short not to enjoy it. It’s about balance. What will you be selling at Baked? Cookies! Lots of them. We’ll bring Black & Gold, Boston Lager Chocolate Chip and some other Top Shelf Favorites! Working on anything new for the upcoming Baked Festival? We might bring something new with bacon!